So how do you improve your SEO? 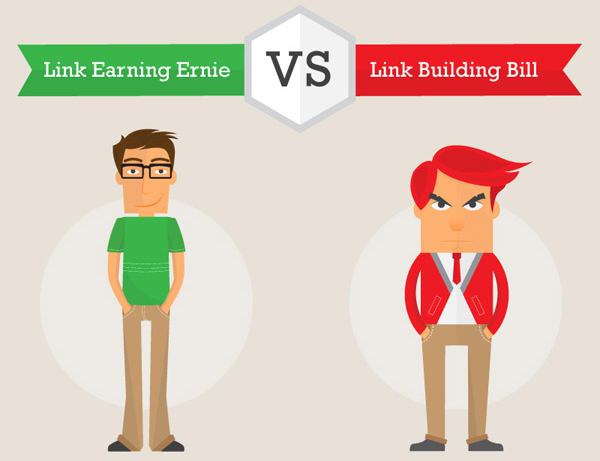 Stop using out-dated "link building" tactics and start adopting a "link earning" approach. When a prospective resident or family member goes online to research care options, you want them to find your website – and you want them to find it first. Showing up on the 3rd, 4th, or 5th search engine results page (SERP) just doesn’t cut it these days. After all, 75% of users never scroll past the first page of search results! So how do you improve your SEO? To start with, it’s helpful to keep in mind that there are two types of SEO: On-Site and Off-Site SEO. To optimize your chances of getting found online, your organization will want to pay attention to both. On-site SEO involves strategies and tactics you can implement directly on your website, so it’s easier to move the needle on this one. Off-site SEO, on the other hand, includes all the elements of SEO that happen outside of your website. Among the most influential off-site factors are inbound links. Inbound links occur when an external website links to your site. Inbound links are incredibly important to achieving top positioning in search results. In fact, many leading SEO experts say that inbound links are the most important search engine ranking factor. But inbound links can be difficult to attain. In the words of Rand Fishkin, “Link earning is going to replace link building.” Essentially, the old tactics for link building are obsolete. Instead, we need to focus on link earning by creating high-quality content that people love – content they want to share and link back to organically. Okay, so we know that senior care marketers can earn links by creating awesome content. But how do you get started? Developing a content strategy is the first step toward generating and sharing quality content. Your content strategy should include audience research and buyer personas as well as a blogging and social media plan. MOZ Open Site Explorer: This is a free, easy to use tool developed by Moz. Open Site Explorer allows you to enter any URL, and it returns a list of inbound links. The tool will also give you a list of the domain’s top performing pages. Hubspot Links Tool: If you’re using Hubspot, you can use the platform’s built in links tool in the “reports” section. This tool will provide a list of all inbound links. And the “Page Performance” tool will give you an overview of how your individual pages are performing. Having a website alone isn’t the key to great results. With this eBook, you'll learn how to use your website to attract visitors, educate them and convince them to buy.